Here you go....get your DSD downloads now! DSD is the buzzword right now. Some of us also remember when SACD, HDCD, DAT, reel-to-reel, ELcassette, and quadraphonic were the “next big thing” on the audiophile scene. There’s a very real possibility DSD will go the way of the dodo. 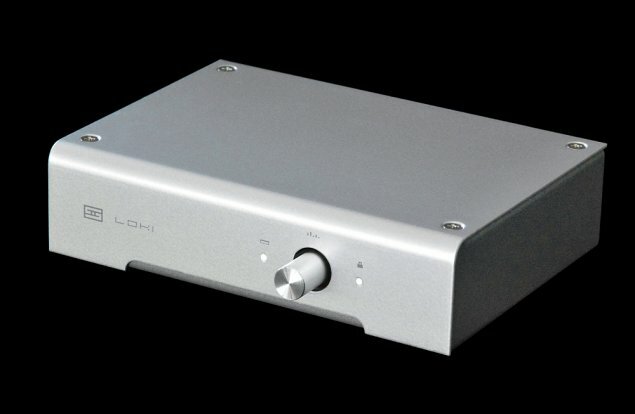 Loki allows you to try DSD at a very low price, and decide if it’s for you—without throwing away your current DAC. If DSD succeeds, cool! If it doesn’t, you’re not out big bucks." Well, they aptly named their budget products. I doubt this has ANYTHING substantial to offer after hearing their $100 DAC last year. Their schiit is what made me realize it was going to take a solid budget to get anywhere in DAC's. I've never heard anything of theirs myself, but I haven't seen anyone on this forum profess much love for any Schiit DAC products. Odd, because the guys at Audiocircle seem to think highly of them and John Darko rates a couple of them pretty well. Eh, it's not than we don't have any love for their products, it's just that there's nothing special about them in their price class. There's a hundred other dacs out there that sound just as good if not better for around the same price. Not knocking them, but as the previous poster noted, you have to spend a tad bit more to better what you already have built into your source component like a cdp or good avr. Well, NOBODY makes a $100 DAC that's superb, Schiit included. I love the Schiit gear for what it is, reasonably good sounding at reasonable prices and made here in the US. I especially like their headphone amps. I find their DACs a little 'lean' sounding, they don't qite have the impact or PRaT that I prefer my music to have. Yes Sir, I'll agree to that. Those cheap dacs are good for some computer rigs, that's about it. If you think a 150 buck dac will sound better than what your already using in the main rig though, best think again. USB power? Any DAC worth it's salt will have a nice linear power supply. You get what you pay for. For this type of DAC I'm sure it does a good job, but at this price and application it's made to use with a computer rig probably running i-Tunes, etc. Certainly not all out best sound, but a nice step up from a sound card or the I-Pod dac. I was just pointing out how people's opinions are so varied on the same product. You say computer rig like it can't be anything of any quality. Not so. The fact is the budget Schiit gear just gets the job done. What he is saying is there is no point in putting them in your main rig, especially if you've got a decent CDP or the like. Its as varied as the people who buy/listen to them. Anything can get a good review from a large population, its the discerning population that you want to listen to IMO. It usually gives you a lot better feel for how good a product is. For a lot of people who spend a bill on a DAC, ignorance is bliss. Agreed. The Bifrost was great in my PC system. Absolutely not my friend. Have you read any of my posts ? The entry level dacs for office systems, near field listening...cool, but they don't cut the mustard when compared to even a decent cdp in a main system. If that's the case then the differences are too small to matter much. Well that was kinda the point for me...with the whole 'Next Big Thing' that external DACs and DSD downloads seem to be I mean. Hell yeah you could! But, remember that the DAC (and any source for that matter) isn't the only thing that matters in the signal. Everything does. What's the rest of the rig? In any case, the amps are a bridged pair of NAD 2200PE's with the 1300 pre, and the CDP is also an NAD, the somewhat less old C542. I don't have the FM tuner connected but have an XM receiver wired to an antenna outside [there is pretty much no broadcast reception where I am], and the old tape deck and turntable are also retired.